Professor Aldo Rinaldi took up his consultant post at Guy’s and St Thomas’ in 2006. He trained in medicine at King’s College Hospital, becoming a member of the Royal College of Physicians in 1993 and subsequently a fellow in 2006. His training in cardiology took place at Guy’s and St Thomas’ with dual accreditation in cardiology and general medicine. Aldo gained his MD in 2001, having undertaken his research at the University Hospital of Wales and Hammersmith Hospital. He became a fellow of the Heart Rhythm Society in 2013. In 2014 he was promoted to professor of cardiac electrophysiology and devices at King’s College London, where he leads the Cardiac Device Research Programme. 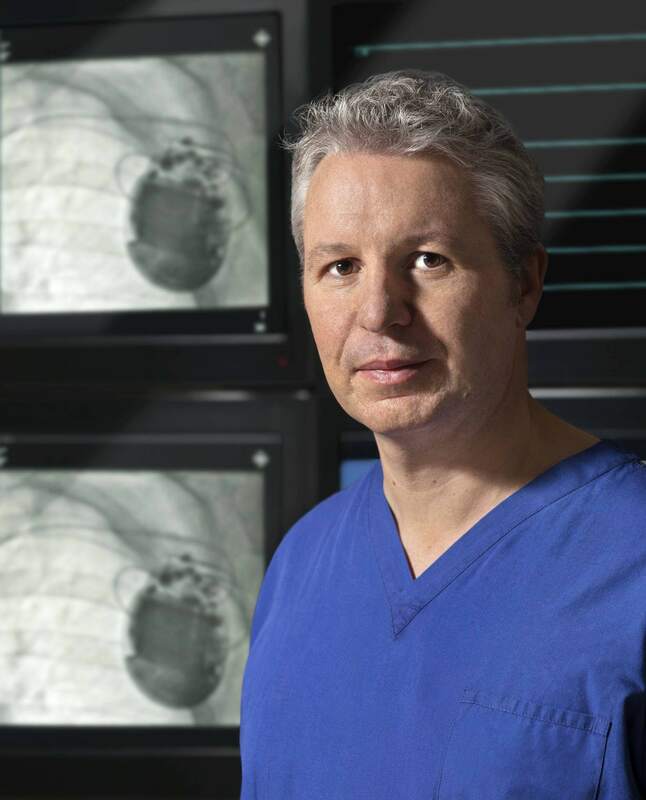 As an interventional cardiologist/electrophysiologist, he specialises in the treatment of cardiac arrhythmias and heart failure, electrophysiology/radiofrequency ablation and complex pacing. Cardiac resynchronisation therapy for heart failure, laser lead extraction and treatment of atrial fibrillation. Also, CRT, defibrillators, all aspects of cardiac ablation, and endocardial LV pacing. Aldo has published more than 300 peer reviewed manuscripts/book chapters.